MILWAUKEE – Combining the all-time classic biker-jacket design with modern features, the new women’s Legacy Leather Biker Jacket (P/N 98059-13VW, starting at $350) from the Harley-Davidson® MotorClothes® line celebrates more than 100 years of Harley-Davidson riding apparel. 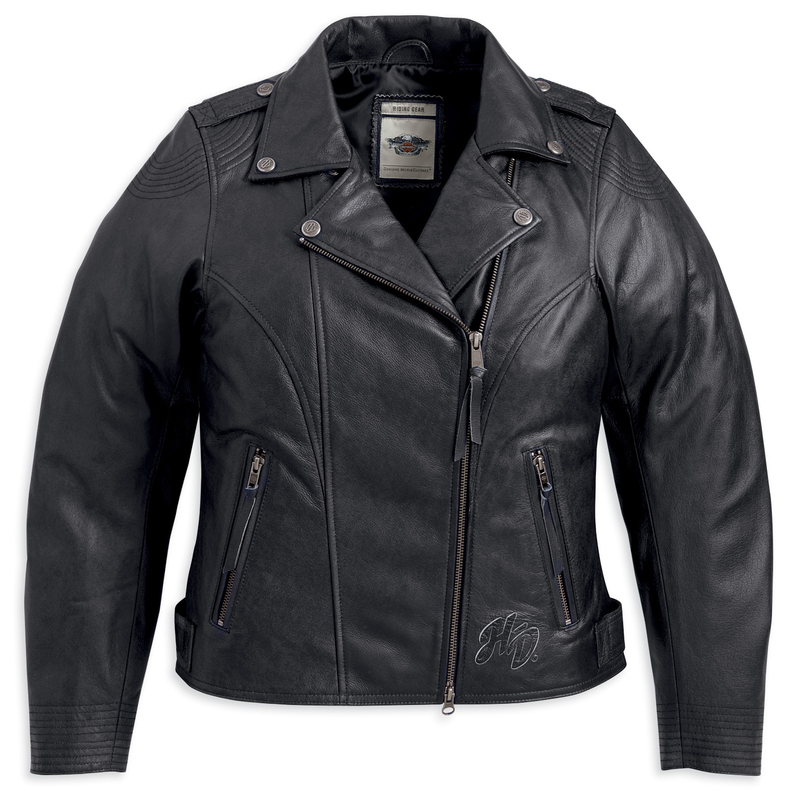 Its midweight vintage abrasion-resistant cowhide leather construction incorporates pre-curved sleeves, action back and padded back waist for maximum riding comfort. Pockets at the elbows and shoulders accept accessory armor for increased protection. 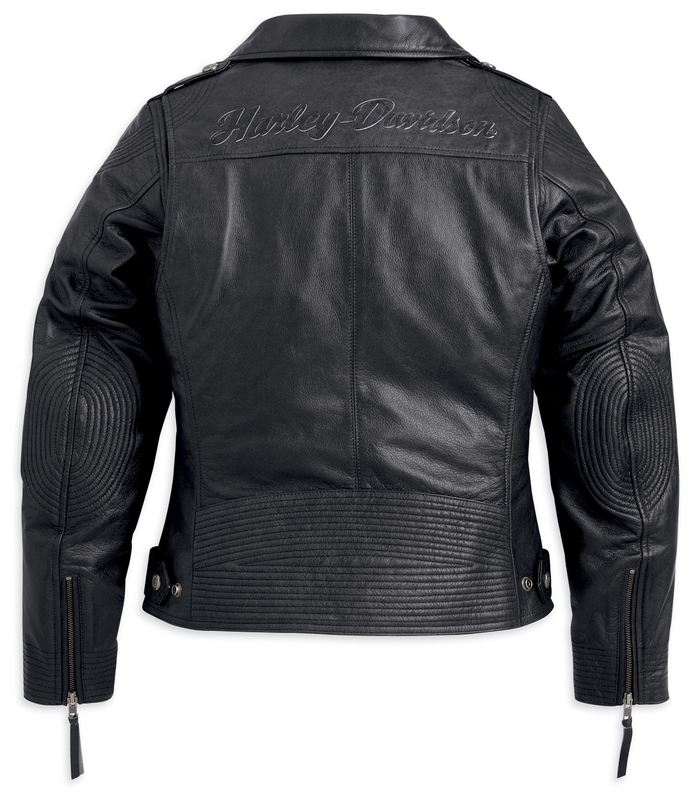 Stitching detail on the shoulders, elbows, cuffs and back waist complement embossed graphics for a subtle, classic style. Available in XS – 3W sizes. The Legacy Leather Biker Jacket is available now at most Harley-Davidson dealerships.